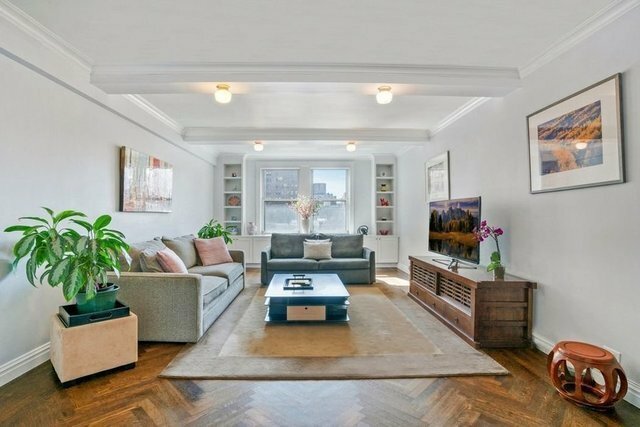 A perfect blend of elegant prewar design renovated for todays lifestyle, 8D presents a two-bedroom/two-bath home enhanced by sunny southwestern exposures and offers the best of urban living adjacent to Central Park. Gracious entertaining naturally flows throughout the apartment. The expansive living room enjoys a south-facing double window framed by built-in cabinets. The windowed kitchen with top of the line appliances offers a welcoming breakfast bar adjoining the dining area. The corner master bedroom features a walk-in closet and en-suite windowed master bath. High ceilings, hardwood floors, custom closets, through the wall a/c units, and washer/dryer complete this special offering. 12 West 96th Street has a 24-hour elevator attendant, live-in super and mail delivered to the apartment daily, allows for 75% financing and is pet friendly. There is a 1% of the purchase price flip tax. Neighborhood Highlights: Run, bike & stroll through Central Park, shop at Whole Foods & Trader Joes and dine at an array of nearby restaurants & cafes.